Andy Roberts started Weekly10 after 14 years working as a senior leader in software industry across financial services, e-commerce and telecommunications. 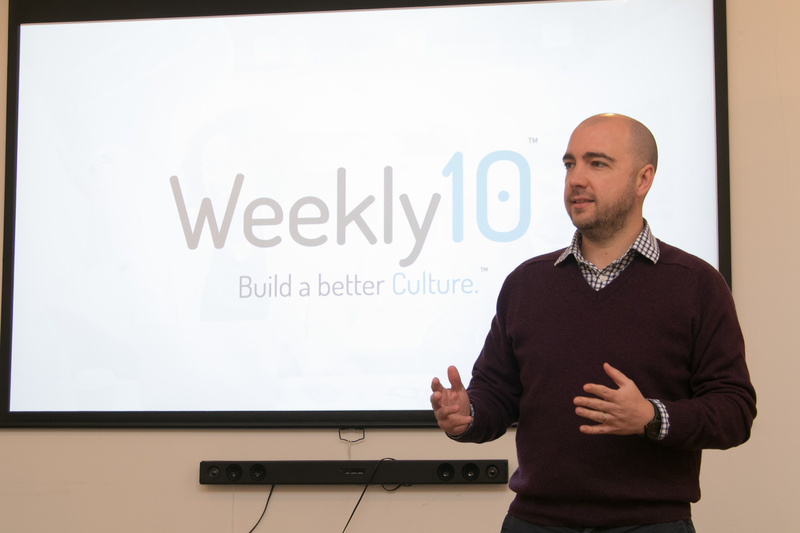 Weekly10 is a software platform designed to embed a feedback culture in organisations around the world. As workforce dynamics change and productivity stagnates, organisations are looking for new ways to engage and motivate their employees. Weekly10 provides a light touch process to increase engagement whilst utilising Machine Learning to provide insights to management. Andy started Weekly10 during his spare time in 2017 with a minimum viable product to gain market feedback and refine the platform further. To help develop his business, he took part in the inaugural Business Wales 5-9 club in Wrexham. The business took on its first enterprise customers in 2018 and now has customers across the UK with a growing number overseas. Now working on the business full time, Andy is currently participating in the Welsh Government’s Accelerated Growth Programme (AGP) to help scale the business further and develop the Machine Learning aspects of the platform. Andy signed up and completed the Business Wales 5-9 Club at the Business Wales Wrexham Enterprise Hub – a 12-week fully funded programme, designed to help entrepreneurs through the early stages of starting up, allowing them to get all the business support they need, fitted around their busy schedules. He is now supported by the Accelerated Growth Programme to further develop the business and help him scale it up while developing new innovative products.